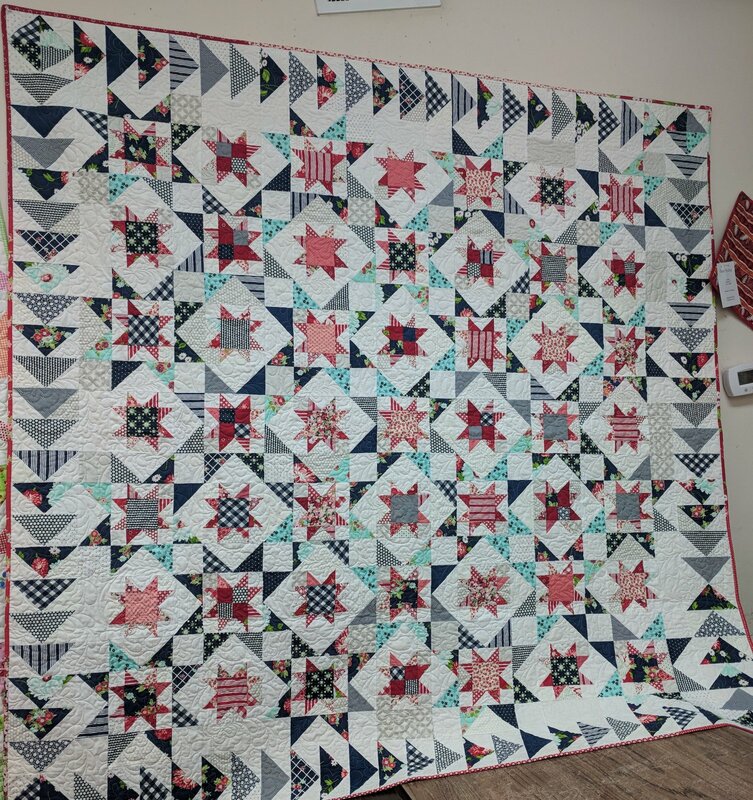 Stella Blue is a really fun quilt that looks hard but we will break it down to the basics, learn a fun technique for making accurate flying geese and you will be seeing stars when it is all over! Each month we will make an additional part of the quilt and in April we will be ready to assemble the whole thing! You will need very accurate piecing and cutting to make this quilt but it really is do-able for confident beginners with patience. You can make this quilt really scrappy or make it with a fabric line you love-your choice!